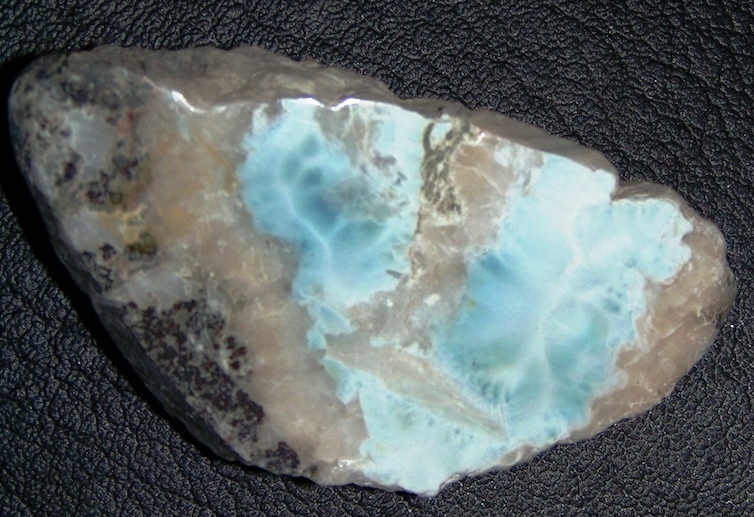 Polished Larimar from Dominican Republic. Size: 2-7/8" x 1-1/2" x 15/16". wt: 88.63 grams.